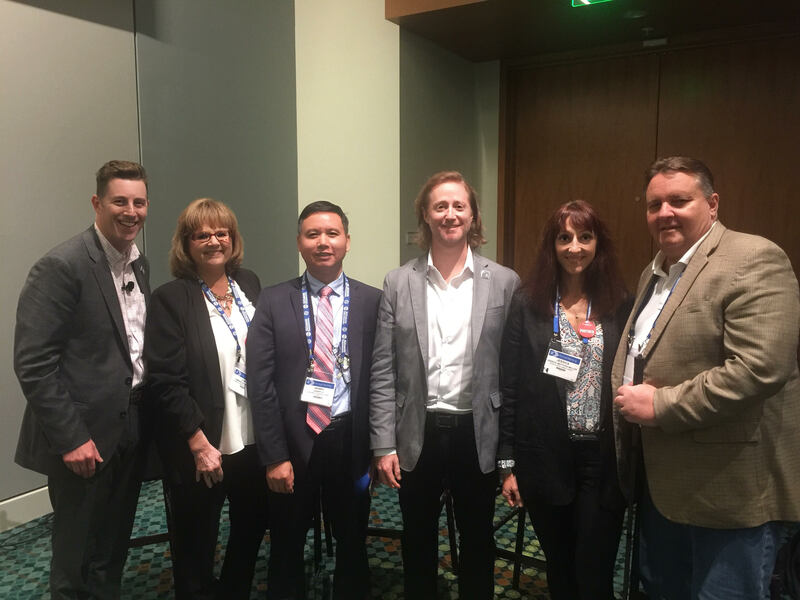 TransLoc hosted a conversation about agency-owned microtransit at the APTA 2018 Annual Meeting in Nashville, Tennessee with (left to right) Josh Cohen, TransLoc National Director of Policy; Kimberlee Morton, CEO of Norwalk Transit District; Henry Li, CEO of Sacramento Regional Transit District;Doug Kaufman, CEO of TransLoc; Jessica Mefford-Miller, Executive Director of St. Louis Metro Transit; and Robbie Makinen, CEO of Kansas City Area Transportation Authority. With declining ridership from the continued reliance on cars and a growing popularity of TNCs, like Uber and Lyft, it’s no surprise that a popular theme coming away from American Public Transportation Association’s (APTA) annual meeting is the need to rethink how public transit can evolve with new modes and specifically examining the role microtransit has in the greater system of public transit. As a part of the conference, the “Reimagining Public Transit with Microtransit” panel discussion hosted by TransLoc National Director of Policy Josh Cohen explored this topic in depth. Panelists included CEO of Sacramento Regional Transit District Henry Li, Executive Director of St. Louis Metro Transit Jessica Mefford-Miller, CEO of Norwalk Transit District Kimberlee Morton, and CEO of Kansas City Area Transportation Authority Robbie Makinen. The conversation covered a lot of ground with insights shared directly from each agency’s experience and openness around the specific challenges they are tackling. Listen to the podcast to hear directly from the panelists or see below for selected quotes from a variety of aspects ranging from community development to taking risks with new transit approaches. To listen to the full panel discussion, register to hear the podcast episode.